To all our Valued Employees:The damage that Hurricane Harvey caused has been unprecedented. The entire Houston community has been tested with families being put in harmâ€™s way, personal property being destroyed, businesses being shut down and our dealership operations being interrupted. Our thoughts and prayers continue to be with you, our Ken Garff employees, as your safety and well-being is our number one priority. Many of you have reached out asking when you should come back to work. Let us first be clear that your safety and security are the most important priority to the Ken Garff Automotive Group, the Garff Family and our trusted partners at Leucadia. For this reason, we wanted to provide you will some important information and updates about the coming week. Your number one responsibility is your individual safety and the safety of your family. As your employer, we expect you to continue to focus on this responsibility until you and your family are situated and safe. Your second priority is helping others in your community as well as other fellow employees. We recognize there are many people who need help and appreciate and encourage our employees to help and serve others where they can. We recognize that each of you will miss the opportunity to earn money while dealing with this disaster. Ownership has unanimously decided to provide the equivalent of 5 days of pay to every employee as a result of business interruption during the hurricane. Your GM will provide more information on this in the days to come. 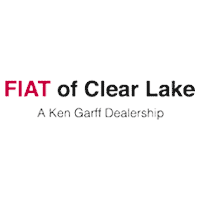 Your General Manager is working diligently with Ken Garff Salt Lake and all our business partners to open your dealership. This opening will happen through two controlled phases. The first phase will be a soft opening targeted for Friday, September 1, 2017 where the teams will begin cleaning the dealership, arranging the lot and answering phones and leads. With the exception of Big Star Honda, the second phase will be Tuesday, September 5, 2017 where the dealerships will target to resume full operations. Big Star Honda will provide daily assessments as to their full operations target date. Employees are encouraged to communicate with their leadership as to when they will be available to return to work based on their personal situation. Lastly, John Garff is leading a Garff Humanitarian Team who will be present in each dealership starting Monday, September 4 to work with employees to assess their personal losses and assist in the formulation of resolution plans. Please contact your BAM for more information on this effort. It is most important you know our concern for each of you. We understand that this natural disaster has been devastating to many of you. We want you to know that we will do all we possibly can to support you both professionally and personally. We will provide you with further updates as quickly as possible about our dealership openings and the status of store operations. If you have immediate concerns or questions, please contact your department head or GM directly. Thank you for everything you do, my thoughts and prayers remain with each and every one of you.